Some common questions we get asked in customer service is “how fast is this paper shredder?” or “how many sheets of paper can I shred at a time?” While this information is available on our website and in our catalog, it is a bit of a subjective question with a few possible answers. For our Cross Cut paper shredders (see CUI/PII paper shredders) , we calculate the throughput of the machine based on paper weight and the power of the machine. The caveat is the thickness of the paper. As there are numerous types and manufacturers of paper stock, it is impossible to list all variations of the throughput, so we take an average based on the most common thickness and paper weight. This allows us to give a reasonable estimate of the sheet capacity throughput you can expect from your paper shredder, so your mileage may truly vary. Due to their larger shred size, cross cut CUI/PII paper shredders are also faster than our High Security paper shredders. 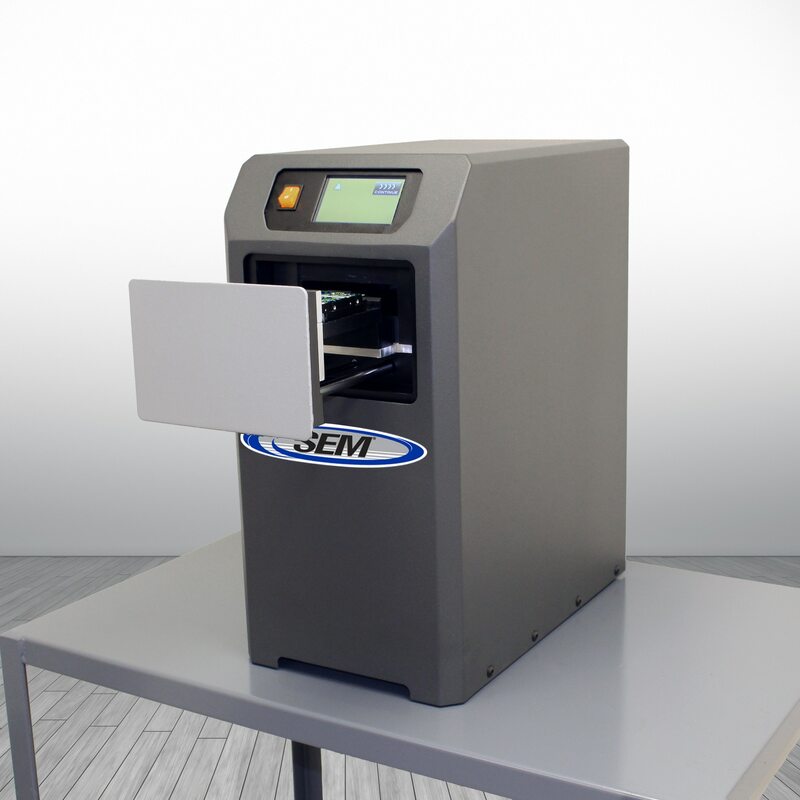 Security Engineered Machinery’s High Security Paper Shredders are measured in a similar fashion, however all High Security Paper Shredder performance data is objectively measured and can be validated by reviewing the NSA’s EPL (Evaluated Products List). The NSA has conducted rigorous tests on all evaluated paper shredders, and their findings are publically posted on the EPL. When you are in the market for a new paper shredder, you should always consult with the NSA’s EPL, conveniently located on the SEM webpage on our resources tab, for the NSA’s Durability rating (sheet capacity, total reams and feed openings tested in a one hour time span). While our competition may use only the data that applies to their applicable products, SEM publishes the entire EPL, keeping a level playing field with nothing to hide or manipulate allowing you, our valued customers, to make an educated purchase based on all available data. So when you are in the market for a new paper shredder, remember for Cross Cut shredders destroying Controlled Unclassified Information or Personally Identifiable Information (CUI/PII) that “your mileage may vary” based upon paper stock and other variables. However, if you are in the market for a High Security paper shredder, the NSA EPL is the only comparison tool you will need.